The U.S. Travel Association, the industry's main lobbying group, is planning a multimillion-dollar campaign called "Travel Effect," with the goal of undertaking and promoting research that shows the benefits of traveling to people's health, relationships and communities, as well as to the economy. The project hopes to find the kind of science-supports-desire research that has been a home run for other industries, such as the wine business. "The first thing you think of when you think of red wine is, 'Oh, it's good for me,'" said Cathy Keefe, a U.S. Travel spokeswoman. Travel, like wine, is a fun activity with supposed health benefits, Keefe said, and that's what the industry would like people to remember when considering a vacation..
"One of the ideas behind the campaign is to get consumers to think differently about travel," she said. During the nationwide, multiyear effort, U.S. Travel intends to seek partners, such as AARP and academic institutions, to conduct research on various effects of travel. The success of the campaign may hinge on what sort of findings -- especially surprising ones -- the research generates. "You don't need to persuade me that I need a vacation," said Peter Yesawich, vice chairman of MMGY Global, a Kansas City, Mo.-based travel-marketing firm. "They'd have to pick the right metrics; they have to pick the right behaviors." For instance, telling people about his firm's research showing that a third of all leisure travelers say they have more romance while on vacation might clinch the deal, he said. Wyndham Vacation Rentals®, part of the Wyndham Worldwide family of brands, announced today the appointment of Patrick Davis as vice president of operations, North America East, effective immediately. Davis most recently served as the general manager of ResortQuest Delaware overseeing and managing Wyndham Vacation Rental operations for over 1,000 rental accommodations in the Mid-Atlantic and over a dozen independent homeowner associations Wyndham manages on a fee-for-service basis. In his new expanded role, Davis will oversee the sales, marketing, revenue management and operations of Wyndham Vacation Rentals East region. He will continue to be based at and remain in his current location of Delaware and will be working directly with top executives and general managers to identify growth opportunities within the region. Davis will be reporting directly to the President of Wyndham Vacation Rentals North America, LLC, Bob Milne. “Patrick’s leadership experience has been proven over the years through the various roles he has held and he has made significant contributions to promote the growth of Wyndham Vacation Rentals,” said Milne. “His in-depth knowledge and experience of the professionally managed vacation rentals industry, particularly along the East Coast, will be crucial as we continue to grow our brand nationally,” Milne said. Davis started in the hospitality industry in 1993 when he joined ResortQuest as the controller for the Sea Colony Realty and Sea Colony Management companies in Bethany Beach, Del. He then became the rental manager for ResortQuest Delaware in 1998 and was quickly promoted to director of operations in 1999, overseeing vacation rentals and homeowners association managements. In 2001, Davis assumed the role of general manager, leading the real estate brokerage portion of the Delaware business in addition to his existing responsibilities. Davis holds a Bachelor of Science degree from Wake Forest University and went on to earn his M.B.A at Loyola College. He and his family reside in Bethany Beach, Del. Diamond Resorts International® has announced that David Palmer, formerly President and Chief Financial Officer, has become President and Chief Executive Officer of the Company. Al Bentley, who had been serving as Executive Vice President – Europe, has assumed the position of Executive Vice President and Chief Financial Officer. Founder and principal shareholder Stephen J. Cloobeck remains Chairman of the Company. These appointments were effective January 1, 2013. “David and Al are incredibly strong leaders, and I have the utmost confidence in their abilities to continue to lead and grow our business around the world,” said Cloobeck. “As Founder and Chairman of the Company, I will continue in my role as the senior strategist on our expansion and acquisition program, as well as the chief steward and ambassador for The Meaning of Yes®, our unwavering commitment to the highest levels of global customer service,“ Cloobeck said. Mr. Palmer (see photo), age 51, has served as President since September 20, 2010, and is a member of the Board. He has served as Chief Financial Officer of Diamond Resorts International® and its subsidiaries since April 2007, and he served as Executive Vice President until his promotion to President in September 2010. 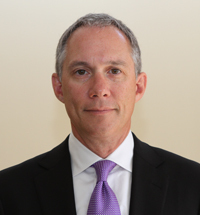 Mr. Palmer has over 20 years of experience as a private equity/financial professional. Mr. Palmer served as a managing director of Trivergance, LLC, which he co-founded from its formation in June 2006 to July 2010. Mr. Palmer received an A.B. in Physical Chemistry from Hamilton College and an M.B.A. from the J.L. Kellogg Graduate School of Management at Northwestern University. Mr. Bentley, age 52, has served as Executive Vice President of Diamond Resorts Parent, LLC and its subsidiaries since April 2007. Mr. Bentley is also a partner at Mackinac Partners, LLC, a financial advisory firm which has provided services to DRP since April 2007. Mr. Bentley has over 30 years of broad-based business experience with extensive expertise in the areas of corporate restructuring, business management and strategic planning, complex financing transactions, capital formation, mergers and acquisitions, and financial and SEC reporting. Diamond Resorts International®, with global headquarters in Las Vegas, Nevada, is one of the largest hospitality companies in the world with more than 220 branded and affiliated resorts and over 27,000 guest beds in 28 countries with destinations throughout the continental United States and Hawaii, Canada, Mexico, the Caribbean, South America, Central America, Europe, Asia, Australia and Africa. 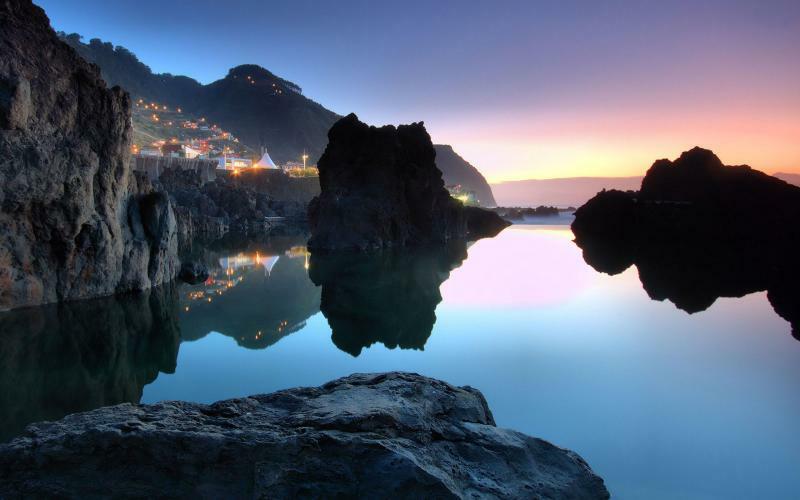 The Hotel Savoy on the Portuguese island of Madeira is affiliated with Interval International, a leading global provider of vacation services and an operating business of Interval Leisure Group. Upon completion in 2014, the Hotel Savoy will include 246 timeshare apartments, ushering in the second chapter of the vacation ownership product for Siet Savoi SA, the developer of the successful Royal Savoy affiliated in 2002. “We’re very happy to be able to offer more exchange options to Interval members who want to visit this magnificent island, known for its stunning scenery and spring-like temperatures,” said Darren Ettridge, Interval’s senior vice president of resort sales and business development for Europe, Middle East, Africa, and Asia. All of the Hotel Savoy timeshare apartments will be air-conditioned, offer Internet access, and have ocean-facing balconies or terraces. One-bedroom apartments will have separate lounge and dining areas, a full kitchen and master bedroom with en-suite bathroom and walk-in closet. The two- and three-bedroom lock-off apartments will be ideally suited to holidays with friends or family sleeping up to six and eight guests respectively. Studio units will have a kitchenette and a spacious lounge area. Hotel Savoy guests also will have access to a full-service spa with sauna; fitness center heated indoor, outdoor, and children’s swimming pools; whirlpool; tennis court; and restaurants and bars on the grounds of the resort. Other amenities will include 24-hour reception service, room service, and underground parking. “Hotel Savoy is the newest generation of a small family-run hotel first opened at the beginning of the 20th century,” said Isabel Cristina, project director of the Savoy Group. Closer to the coast of North Africa than Europe, the volcanic island of Madeira is just 35 miles long by 13 miles wide, studded with dramatic ravines and rocky headlands. Along the roadways that wind their way through sleepy hamlets and larger villages, the man-made watercourse “levadas” appear to be ribbons of water meandering through the countryside sparkling in the bright sunlight that bathes the area. The island that many call “the floating garden of the Atlantic” is a 90-minute flight from Lisbon and the Hotel Savoy is 15 minutes from Madeira’s Funchal International Airport and a five minute walk to the historical center of Funchal. RCI, the global leader in vacation exchange and part of the Wyndham Worldwide family of brands, added five new resort affiliations in Thailand, the Philippines and Malaysia in 2012. The signing of these agreements expanded RCI’s Asian portfolio to more than 160 affiliated properties. “These five resorts not only show a growing interest for timeshare travel throughout Asia but evidence that we’re offering an innovative and appealing timeshare exchange product,” said Adrian Lee, managing director, RCI Asia Pacific. 1. 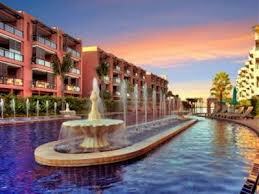 The Marrakesh Hua Hin Residences (see photo) is superbly located in the heart of Hua Hin, Thailand’s royal beach resort. The luxurious beachfront resort offers a colorful blend of authentic and contemporary Moroccan features with an enchanting private garden and a lagoon beautifully decorated in Marrakesh design, with facilities such as an infinity-edge swimming pool, children’s pool, fitness room and more. 2. Eastgate Village Resort is set against a backdrop of protected rainforest and situated inside Subic Bay Freeport Zone, a former U.S. Naval Base in the Philippines. Visitors staying in the spacious three-bedroom units have access to the recreational facilities, which include an outdoor swimming pool, outdoor basketball court, indoor badminton court and a meeting room for conferences and appointments. 3. City Suites, a member of the Crown Holidays network of hotels, offers guests luxurious accommodations in the city with full access to five-star facilities and stellar personal service. Located in Cebu City, it is in close proximity to business districts, shopping malls and entertainment hubs. Often called the “Queen City of the South” and the Seat of Christianity in the Philippines, Cebu is the country’s oldest city. Cebuanos are extremely proud of their cultural and historical heritage, a legacy which has endured through the centuries. 4. Birch Plaza Apartments is strategically situated in the heart of Georgetown in close proximity to shopping malls, public facilities and the Food Gallery at Penang Times Square, as well as Penang’s Hawker Delight and various food outlets in the area. Facilities and amenities include swimming pools, playground, jogging track, barbeque pits, gymnasium, game room, sauna, outdoor Jacuzzi, foot reflexology path, landscaped garden and a multipurpose hall.